There is an ancient proverb that recommends lighting a candle instead of deploring the darkness, and this sage advice can apply to the business model of training a company’s internal talent pool. Companies that look to their own talent pool – even those employees at the front lines – have found that with training and post-secondary education, many employees are able to take on new roles and responsibilities. In the coming year, nearly 70 percent of companies plan to initiate internal programs to improve the talent flow. However, most of them intend to discuss career options with employees during the annual employee review process. Some have found that using career maps with employee advising is a more productive way to get into specific conversations that produce a win-win. Employees at all levels can contribute to the success of companies by taking on critical roles. Establishing and nourishing a pool of talent that supplies the best person for a job helps ensure that opportunities for revenue are maximized. Forbes Insights includes the enhancement and development of talent as one of the most distinct challenges that companies face (insert link here). Partnering with colleges and universities to develop new courses or to refine existing ones can help employers enrich their talent pool. A new trend the Huffington Post calls “upskilling” confronts the stalemate created by jobs that demand skills that workers don’t currently have. By encouraging employees to earn postsecondary credits, companies can help them qualify for better-paying jobs. This improves the quality of the talent pool and can help employers fill open slots –producing a market edge. Postsecondary training provides credentials through certifications and work-based apprenticeships as well as degree programs. Credentialing programs benefit workers by providing an opportunity to learn new skills that lead to better jobs and higher wages. Companies can partner with colleges and technical schools to make a stream of talent available. Employers receive financial benefits by saving on recruitment costs that may amount to an average of $4,000 for all categories of workers, according to the Institute for Research on Labor and Employment at the University of California at Berkeley. Employees who are already on board also have experience in working for the company, reducing the time required to learn a new institutional culture. 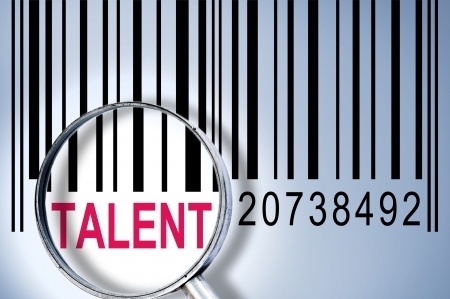 In addition, identifying and assessing talents and skills give companies an opportunity to provide recognition. This inspires employee enthusiasm and renews interest in their work. In the midst of battle, Shakespeare's King Richard III famously said “A horse, a horse, my kingdom for a horse” when he could not find one. Many employers looking for someone to perform in the midst of pressure may find the answer within their current workforce.